Eddie Bauer is recognized as a leader in outdoor adventure and their outdoor furniture line continues that legacy. The collections embody the refined, yet rugged spirit their brand has represented for generations. Each collection is unique to bring beauty and comfort to your outdoor space. 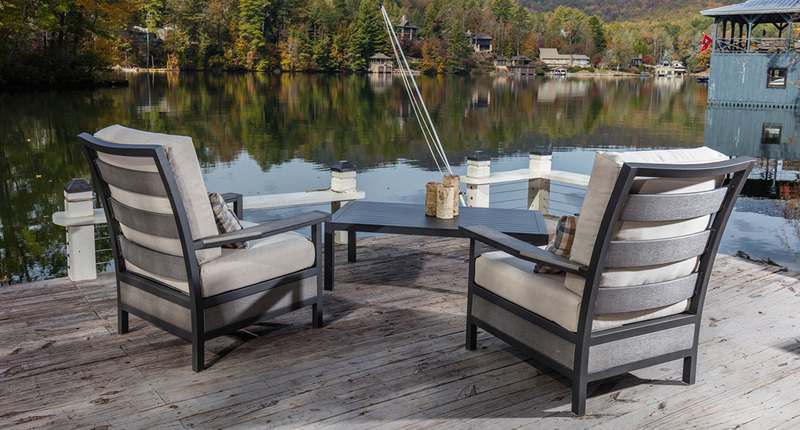 We have chosen several pieces to have in our showroom for you to experience the comfort and see what sets Eddie Bauer Home Outdoor Furniture apart from other brands. Special orders are available for all collections and you may customize your look with a variety of fabrics from Sunbrella. Special orders typically ship within 3 weeks. Frame finish and fabric images are representative of colors. Please visit our showroom to view the finish and fabric samples.